Mohammad K. Islam received his Ph.D. in Nuclear Engineering Sciences, with a specialization in Medical Physics, from the University of Florida, Gainesville, Florida in 1987. Subsequently, he worked as a Medical Physicists at Montefiore Medical Centre and Albert Einstein College of Medicine in the Bronx, New York and then joined the Princess Margaret Hospital (PMH) in 1991. He left PMH in 1995 with a job in the Middle East and again rejoined PMH in the year 2000. Dr. Islam received his certification by the American Board of Radiology in Therapeutic Radiological Physics in 1991. 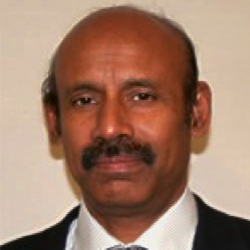 His clinical interests include implementation and quality assurance of novel technologies. His research interests include medical imaging, patient safety, dosimetry, quality assurance methods and tools for radiotherapy. Recently, he has been engaged in the development and commercialization of quality assurance tools and independent dose monitoring system for patient safety.